Tips on how to tune your acoustic guitar, so you can play comfortably and be in tune anytime, anywhere, even if you don’t have your tuner with you. Discover how “chord fills” can spice up your chord changes, so old, boring chords are fun and exciting again. 1 simple trick (called “bouncing”) that makes changing chords so easy it’s almost like magic. Easy ways to memorize and apply the chromatic scale, so you can play effective chord progressions and solos over any song. 2 must-know picking techniques that will help you play thousands of your favorite songs. 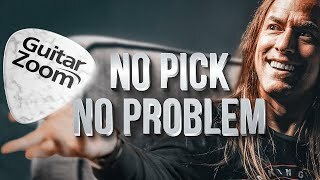 Find out the right way (and the wrong way) to use a guitar pick, so you can get the sound you want and build picking speed. How to apply these techniques when you play popular songs, so you can start using your skills in “real world” situations. How to combine fingerpicking patterns effectively, which means you’ll be able to grab people’s attention and skyrocket your songwriting. How to easily expand the pentatonic scale. Which means, you’ll expand the possibilities for your solos and songwriting. Proper hand placement for bends and vibrato, so you can stay in tune when using each technique. 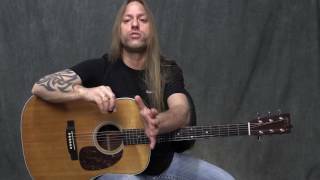 An easy introduction to playing slide on acoustic guitar. Which means, you’ll be able to play classic Delta blues and red hot slide licks for your solos. 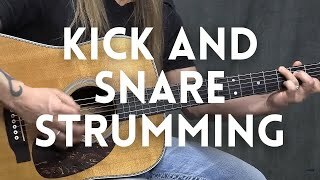 How to tune and play songs in alternate tunings. Which means, you’ll be able to play songs in every style. 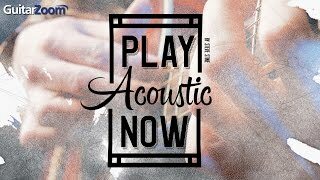 I am another novice acoustic guitar player. I found Steve Stein on You Tube and immediately recognized his skill as a guitar player but also - the more rare talent - as an educator. In this 10 module course, Steve leads one on a journey from the basics through intermediary and a glimpse into techniques used by the pros we admire on record and in concert. I like that the videos can be looped and, even after the module is complete, one can revisit a section as a reference or refresher. Steve is a great instructor. His delivery makes even a novice feel "spoken to" . 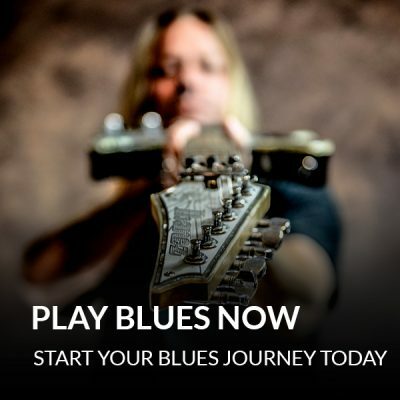 There is plenty of material in this course for guitarists of all skill level and experience. The course is my bible for acoustic guitar, I started playing or tried to play 2 years ago. I'm 54 and was really struggling with many things. Steve really is a great teacher, his course Strumming with Style really helped me get things going. Perfect lead in to Play Acoustic Now. The course id great and Steve is great. I'm the week link in the chain. But Steve is one of the best teachers there is. Thanks. I’ve been playing for more than 40 years, but I taught myself and so I was too sloppy to play with other people.. I was liking for something to help tighten things up, and this course has greatly improved my playing. Great Course, Acoustic Awesome. Top Teacher. Still haven't completed course, however what I used so at has been very helpful. 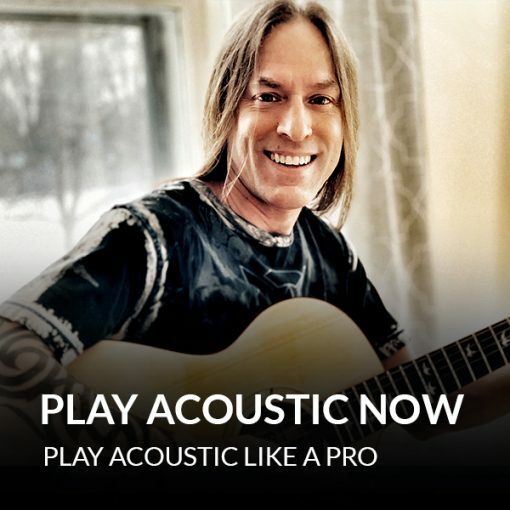 Steve Stine is a great teacher who makes it fun to and somewhat easier to learn to play. Good for a beginner and an intermediate player. this Course took me above and beyond what I thought I was capable of. I continue to revisit certain course sections allowing them to sink in. Steve has a very charismatic way of teaching and I wish I could actually take live lessons with him. The Theory master class he teaches is equally as incredible. Perfect for the beginner who has just picked up a acoustic guitar and also for the intermediate guitar player who will always learn more with this course. This is a Big course you can learn with bite sizes and you can start applying what you learn immediately. Steve Stine is a excellent guitar teacher who simplifies what he is teaching so you can understand easily. 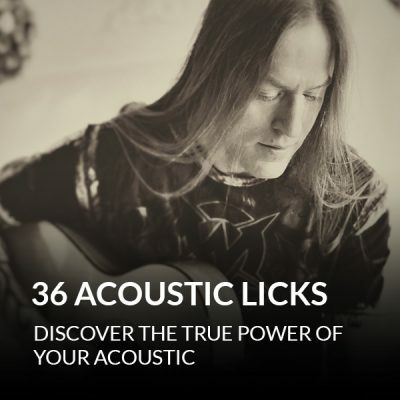 If you want to Rock out on the acoustic, Steve will show you how now! I love it. I think if Steve was not such an awesome teacher I would not get as much from it as I do. He makes everything so easy to understand. I'm finding this to be a VERY comprehensive course that I refer back to frequently. From essential music theory fundamentals to basic and more advanced picking & strumming techniques, Steve clearly explains and demonstrates what you need to know to be on your way to making music with your acoustic. I end up playing rhythm guitar at most blues jams. The singers and bass players like me because I play small chords and stay out of the way. I refer to this course quite a bit looking for fill kicks to supplement a blues shuffle or cut boogie. Steve is an outstanding teacher. His friendly approach to the material really inspires you to continue to peel away at the onion. This is a great course. Very impressive. Fantastic. Though I haven't completed the course yet it has given me the desire to explore the acoustic guitar in ways I could only have dreamed of a few months ago. I haven't picked up my electric for months!!! Says it all really. Recommended to everyone. Great course Steve. Appreciate the patient and thoughtful explanation of both the music lessons and the common sense advise regarding being a musician and not just a player. This is such a lovely course and complete training . I have gone through . Yet I need to refer again and again to discover more aspects .I treat this as Bible of Acoustic Guitar for myself. I feel going through the course when I am in difficulty playing . Request to expand some aspects for greater understanding by newbies. Thanks to great teacher Steve . All of the courses that Steve has designed are easy to follow. Steve has a great way of training that makes it very interesting and fun to follow along. awesome but I have not finished the whole course. Maybe a good idea for the next course from Steve : How to play with drum or bass player, how to begin, which key can you used and some used jargon in the band when they communicate before beginning a session. Also, it must be workable with music workstation. The course is great. So much to learn but more importantly a fun way to learn. Steve is, in my opinion, the best teacher I have watched and learned from,on the internet. Its a great course. I enjoyed it. 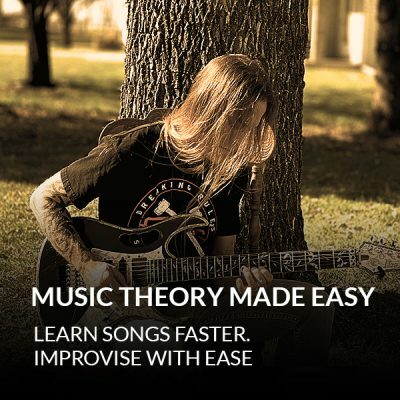 It helped learn acoustic guitar easier and faster.Great stuff from chords to scales on to arpeggios. Has finger style,,strumming lots of stuff. I got a lot out of it. I would like a bit more on acoustic soloing. Covers everything you need for Acoustic. I am still making my way through it ( module 6 ). I find Steve' s easy going ( have fun ) methods motivating. I have a hard time dedicating myself to this one course... I take private lessons and am enrolled on a couple of other acoustic guitars sites and here in Eastern Ontario we are outside trying to get as much done before winter sets in. I still get about an hour a day in, but when winter comes, I will be able to dedicate more time to guitar and Play Acoustic Now. I did learn the finger picking pattern to Dust in the Wind at the end of Module 5 !!!! Awesome!!!! A well designed & & comprehensive. Excellent course! So much "red meat"! Recently moved across country and just now getting back into it. Missed it!! I haven't finished the course at this time. What I have viewed is great. I have other courses. I have been working on 36 have Acoustic links the most. I find you courses are very helpful. With time I become a lot more learned. I have been working on Mastering the fret board also. I am able to identify the notes on the fret board faster now. When I get time, I play as often as possible. I have been letting others I know about GuitarZoom.